Perfectly situated on Big Stump Beach, the Cape Cod Cottages is a charming community of rustic cottages. 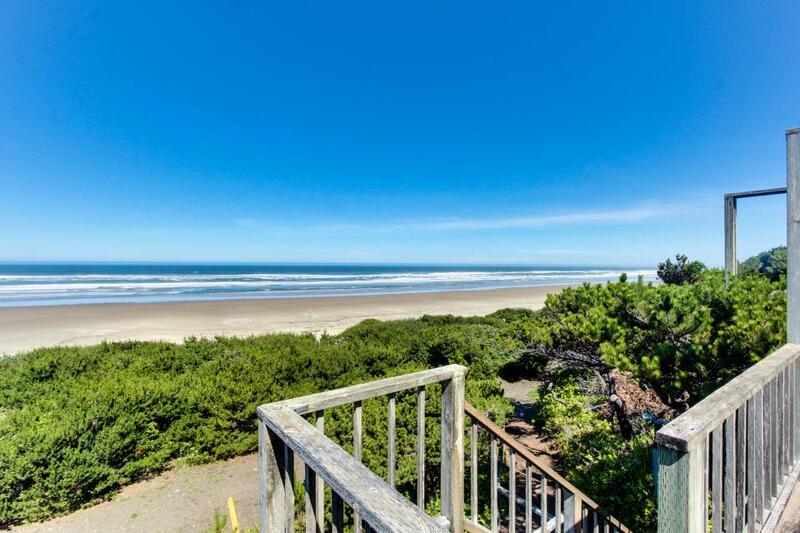 You will be enthralled by the spectacular shoreline and impressive views offered by nearly six miles of sandy beach. Spend leisurely days at the shore exploring tide pools, beach combing, crabbing, clamming, fishing or whale watching. This cottage has a warm and inviting living area with beautiful views through the sliding glass doors that lead out onto the deck. There's a potbelly stove for cozy nights in, and a full kitchen for preparing meals. Down the hall is a bedroom with a handsome four-poster queen bed, and the full bath has a tub/shower combo. The cottage also includes complimentary WiFi, and is even pet-friendly, so your furry family members are welcome to join you as well. A $10/nightly fee per pet does apply, with a $40 minimum per stay. With the stunningly beautiful ocean a pleasant stroll from your front door, you'll find this charming cottage is the escape into nature you've been looking for!